Just as there are cities that are known all over the world, there are also neighbourhoods that have great fame. Eixample neighbourhood in Barcelona is a perfect example of that kind of areas. Its geometric distribution and the wide and sunny streets are totally opposite to the dark and twisted streets of the Old-Town area. So, walking through this charming neighbourhood is a great activity to do while spending winter in Barcelona. Visiting Barcelona on December: what will you find? December is a great time to travel. In spite of the cold, we have to keep warm and go out into the streets to visit new cities and discover new environments and cultures. 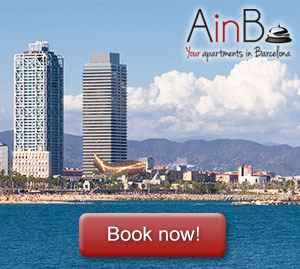 Visiting Barcelona in December is always an excellent option. Here the winter is not as cold as in the rest of Europe. In addition, Barcelona is even more beautiful than normal when Christmas comes. Is there something better than travelling with our pets? Visiting new places with our little buddies is a great experience that is not only satisfactory to us, but also to them. This way, today we suggest visiting Barcelona with your dog. Barcelona is a wonderful city to visit with pets because it has a lot of green places where we can enjoy the beauty of the city and our dogs can happily play and run all over. Barcelona city is one of the most famous touristic destinations not only in Spain, but also in Europe and the whole globe. Every year, millions of tourists enjoy the charm of the Catalan capital, taste its delicious gastronomy and discover the unique Mediterranean way of life of its inhabitants. Barcelona is not the biggest city of Europe, but it is one of the biggest of Spain. That is why we should know how to properly move through the different areas of the city in order to make the most of our time in this amazing city. For example, if we take a stroll around Sagrada Familia and then we want to visit Tibidabo’s theme park, there is a long way from one point to another we can’t do walking. We need a ride. Las Ramblas is one of those destinations we can’t miss while we visit the Mediterranean capital. Every plan we design from our apartment for rent in Barcelona includes a walk through this central street of the city.